Kaleidoscope is a special collection of outdoor kinetic art that is bold, dynamic, and beautiful from Studio M. The carefully crafted design of each dimensional sculpture allows for gentle, steady interaction with the wind. 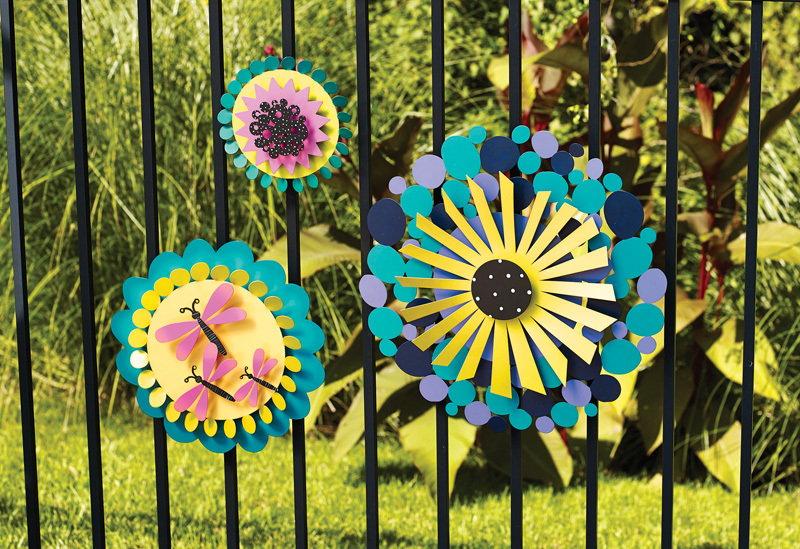 With bright colors and hand-painted details, Kaleidoscope will bring your space to life. Each dimensional sculpture has one layer that moves in the breeze – creating calm, continous motion. 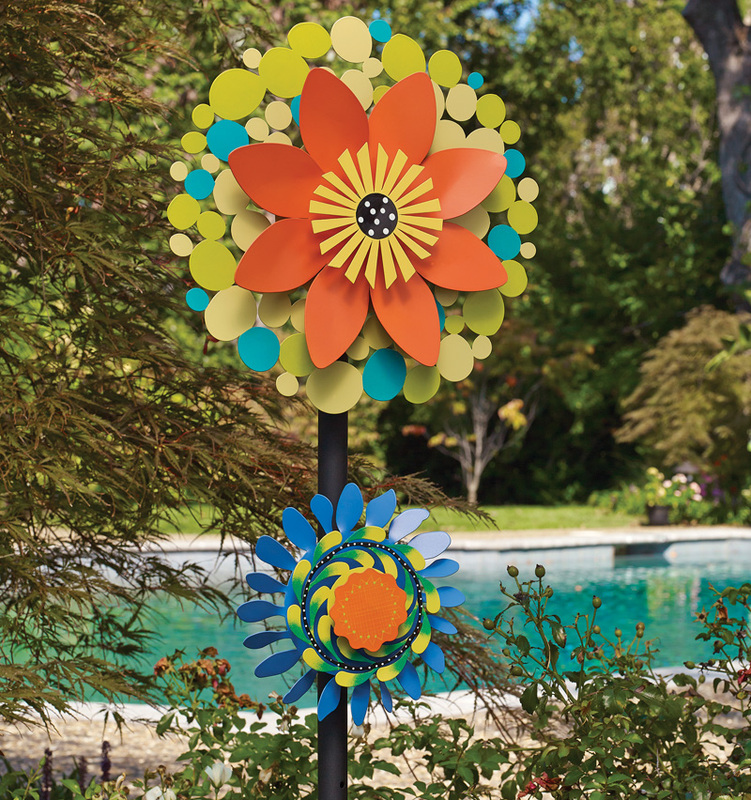 Easily mount any Kaleidoscope sculpture to a tree, fence, wall or freestanding pole to create an artful statement in any space. Hardware is included. You can enjoy the beauty of these unique sculptures for years to come, thanks to our high-quality materials and craftmanship. Carol Koeda is a Michigan-based artist and store owner whose goal is to make art that exudes joy and hope through its bright hues and playful patterns. She lives and works by the motto “create with joy,” and strives to overcome adversity using art and color.